This year during FanX was pretty light. I didn’t really plan anything and just kind of let things happen. Luckily, two of my very good friends were willing to pal around with me the whole time. There was two things I wanted to accomplish this con: Get through my photo-ops without pulling out my hair, and hit my 10,000 steps a day on my FitBit. Because the doors didn’t open until later in the afternoon, I worked that morning. Thankfully my work is amazing and completely understands my taking off time for Cons, and my team is equally amazing by covering for me. Nicki met me at my house and we made our way downtown to meet up with my other friend and start the con experience. 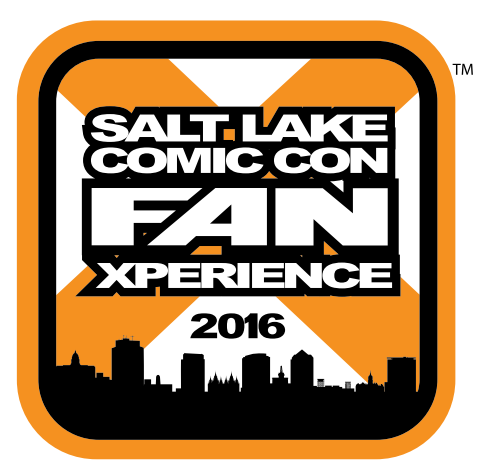 Since it’s start, Salt Lake Comic Con/Fan Xperience has made a lot of improvements. The best one being installing RFIDs in the wrist bands making entrance into the con 1000% easier. In addition to that, you could also have a pass for local public transportation added onto it for on $10 for three days of riding. It was totally worth it! We met up with my friend Bree (an amazing artist that will hopefully be coming to cons near you soon! ), and worked our way through the con. One of the best decisions that SLCC made was putting Artist Alley as the entrance for the Con. 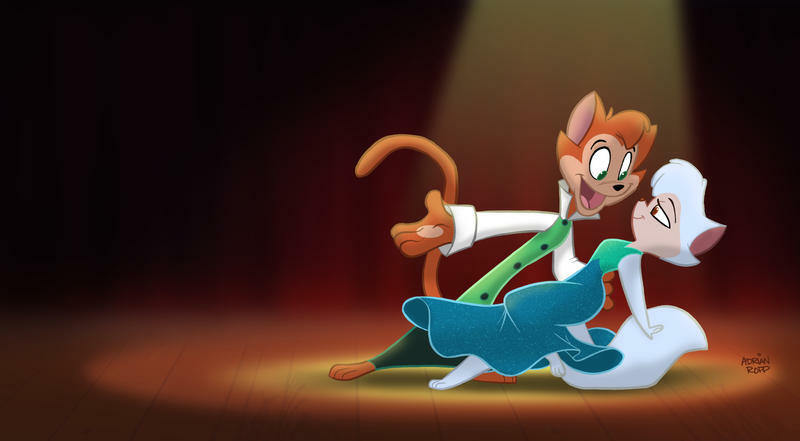 Considering that a lot of the artists make their living off of con work, its been great to see them showcased first. I always forget how much walking happens during con. By about 3pm I had hit my 10,000 step count on my FitBit and was feeling pretty good about myself. We continued circling the con, slightly stalking Nick Carter, AJ McLean and Joey Fatone who were there promoting Dead 7 (you know… for scientific reasons), and just generally talking and geeking out about everything. About halfway through the first day, we made our way to one of the featured comic book writers Kate Leth. Kate was so amazing to meet and talk to at her booth (after a mild panic that she lost her phone), she signed a copy of Hellcat (which if you’re not reading, you totally should! ), and chatted with us for a couple of minutes. Shortly after meeting her, the three of us scurried over to her spotlight, where Kate talked about how she got involved in comics, all the awesome people she’s worked with, and how she launched the Valkyries. It’s been awesome to meet these artist whom I’m just barely getting to know and hear about how they got started. On about my 3rd pass of Artist Alley I came across Hollie Hibbert‘s booth and fell in love with her Rey & BB-8 art piece. So in love that I didn’t want to risk there not being more later on in the con and I bought it right then and there. It’s so pretty and all her stuff was amazing! My first day ended with a photo op with the ever charming Osric Chau. It was right after the Spotlight on Kate Leth so I had to book it down to the photo op area (if there was anything that SLCC could improve on, it’s the organization of photo ops. But I also think that a lot of the fault falls on photo opers arriving too early). I arrived just as the last call for Osric was starting and ran to get in line which made me the last person in line. I had never been the last person in line. As we all weaved into the photo op area and approached Osric for our photos, he looked at me and said “Is this the last one?” I smiled and walked up to him to get ready for the photo saying “Yep, I’m it!” He responded with “Well, saved the best for last.” I blushed and they took the picture… MY FACE IS BRIGHT RED in the picture. Thankfully I can play with it on photoshop to even it out. In the digital version of the picture my face doesn’t look too red, but in the physical copy it totally does! Day was a BIG day for me. I have spent the past few months working on my very first cosplay. And while there are a lot of improvements I’ll want to make for future, I was really glad I did it. 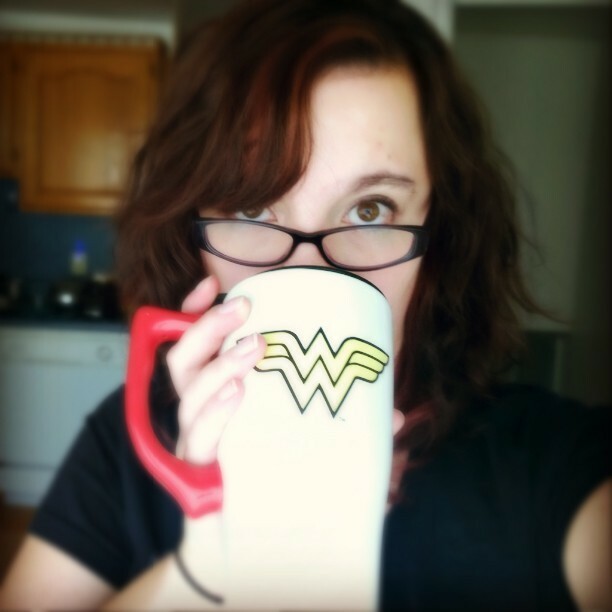 It forced me out of my comfort zone of nerdy t-shirts and jeans and into a lot of new things. Wigs. Making bracers from craft foam. Designing my own costume. Making the boots. Wearing fake eyelashes. A lot of things that made me want to call it off and pretend I hadn’t put so much work into it. I dressed up as Jedi:Ariel and was nervous as all hell about it.Luckily, I had friends (and sometimes friends of friends) that helped me pick out everything and get it put together. I bribed Nicki with coffee (which I now realize I never delivered… SORRY NICKI), to come over to my house early and help me get ready. It took about an hour to do the applying of the costume and putting on of the wig, but once it was done I was really proud of it. I didn’t have a TON of people asking for my picture or commenting on the costume, but that was okay. I mostly did the costume for me. What I did have, was a lot of little girls commenting on it and wanting to talk to me. That was so much fun. I was glad that the little girls knew who I was. We spent most of day two walking around the con floor, eating food and admiring artist alley. I ended up buying a new water bottle with BB-8 on it (I bring this up not only because it is adorable, but also because this little water bottle has a big part in the beginnng of my day three adventure), and a Captain America jacket because it was freaking cold and my costume didn’t have sleeves. I also managed to stop by the Impala and get (another picture with Osric and) a picture with Baby’s trunk of toys. Overall, most of the costume held up, the only thing that failed (within about an hour) were the bracers. So next time I’ll have to do a bit more work on them to keep them strong. And I don’t think it was too bad for my first foray into cosplay. Saturdays are always the busiest day of the con. It’s the last day of the con and also the day that SLCC brings out the “big” guests, in this case that guest was Jeremy Renner, so everyone and their dog (literally sometimes) are there. The only plan I had for this day was to meet up with my friend Maria, get my photo ops with Alex Kingston and a group picture with Maria and Osric (yes… it was my third picture with him), and spend the rest of the money I had allotted for this con on art. Needless to say, I did all of those things. However the day started off in an adventure. Nicki and Bree were going to be a bit late, but I thought I’d make my way down to the convention center and wander for a while see what I could find that spoke to me. I packed up my gear (Captain America jacket, new water bottle, Supernatural purse, etc.) and rode our train downtown and as I was walking from my stop to the convention I realize I left my BRAND NEW BB-8 WATER BOTTLE on the train. Running like I have never run before I tried to catch my train at one of it’s next stops only to miss it by about a minute. Devastated and desperate I asked a man who was working at the train stop if there was a way to track it down. Like the superhero he was, he radioed the train I was on and at their next stop they found it and brought it back to me! It was like Poe being reunited with BB-8 all over again! After that morning, instead of walking around the vendor floor, I sat at a table and waited for my friends to arrive. It was only 10am and I was exhausted. Once Bree arrived we walked around the vendor floor for a bit, trying to decide what I was going to buy, and waited for Nicki and my friend Maria to get there (Maria is my friend who did this photo with John Barrowman with me… she’s basically the best). In Artist Alley I came across some amazing art I couldn’t turn down. Pretty Prints by Winged Warrior of BB-D8 (I LOVE HIM) and Winter Soldier. A print of all of the Eevee-lutions. I’m new to the art buying and posting about it scene and forgot to get a business card from whomever made it (if you know, please tell me!). BUT AREN’T THEY PRETTY!!! When Maria arrived we kind of broke off, Bree and Nicki went to some panels and I walked around the floor with Maria. We made our way to Celebrity Row and were completely confounded to find that there was NO ONE in line for an autograph from Alex Kingston… NO ONE! How? So we hopped into the line and went to meet her. Alex is even more gorgeous in real life and I wanted to talk to her for hours. I chose the picture of River holding her red shoes, as I gave it to Alex to sign she had a full conversation about the shoes and how much she hated walking in them. I, in turn, had trouble putting words into sentences but smiled and laughed at her story and left her booth with one of the biggest grins ever on my face. Yeah… I basically tried to resist climbing him like a tree. After Osric, we ate and went for our picture with Alex. Once again, I was completely speechless to be in the same space as she was, she was such a killer guest and so nice. I ended my con with watching a panel on DC Superhero Girls with Bree. Shea Fontana (writer) and Grey Griffin (voice of Wonder Woman) were there to talk about the series and answer questions. This was such a great panel! This series of shorts are focused mostly on the female superheroes (and a couple villains) in high school. The first short starts off showcasing Wonder Woman, but each short after that, you quickly get to know the other characters! Additionally, this show has created the first action figures “for girls”!! These action figures are so popular that they have sold out a lot of places! You can find these shorts on Youtube! After the panel, we did one last walk through the vendor floor making our way over to Celebrity Row where Joey Fatone (now sans Nick and AJ) was hosting a dance party at his booth. Because… he’s Joey Fatone and that’s what you do? It was super fun, but I was exhausted and all Con’d out, after busting a move slightly, we bid FanX adieu. The weekend as a whole was exhausting, exciting, invigorating, annoying (at times… seriously people don’t just stand in the middle of the aisles), and overall just awesome. I did a lot of things I hadn’t done before. I met a couple people I had been wanting to meet for a while and had such a great time with all of my friends. What are some of you favorite convention experiences?